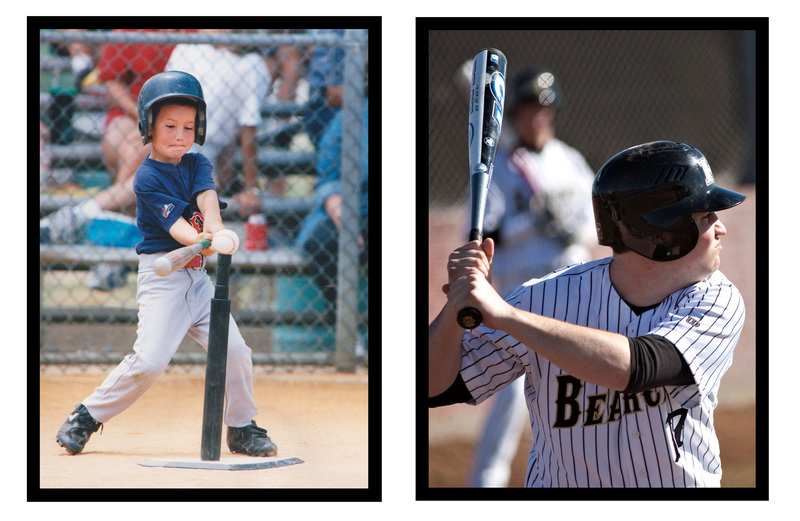 This evening Ryan will play his last ballgame in a Bearcat uniform, (weather permitting) and it's only appropriate that it's a baseball game. Ryan has loved baseball since he was a little bitty thing, at the age of four he could name the Texas Rangers starting line-up. Over the years as a family we've spent countless hours at the ballfield with Ryan practicing and playing, Mike coaching, me as the scorekeeper and team mom, and Becca as the bored little sister playing in the dirt under the bleachers (she doesn't do that anymore, by the way!). Every minute we spent lugging bat bags, shagging fly balls, eating dry hot dogs for supper, getting infield dirt in our faces on windy days, sitting on scorching hot metal bleachers... is time I wouldn't trade for anything in the world. You're not that little T-Ball player anymore, Bubba, but baseball has served you well... and as you leave this part of your life behind you, remember this, "Life is like a baseball game. Just when you think a fastball's coming, you've gotta be ready to hit the curve." I AM SO BAWLING MY EYES OUT ! Loved the 2 pics !